The Council for Economic Opportunities in Greater Cleveland (CEOGC) has served as the Community Action Agency (CAA) for Cuyahoga County for more than 50 years. 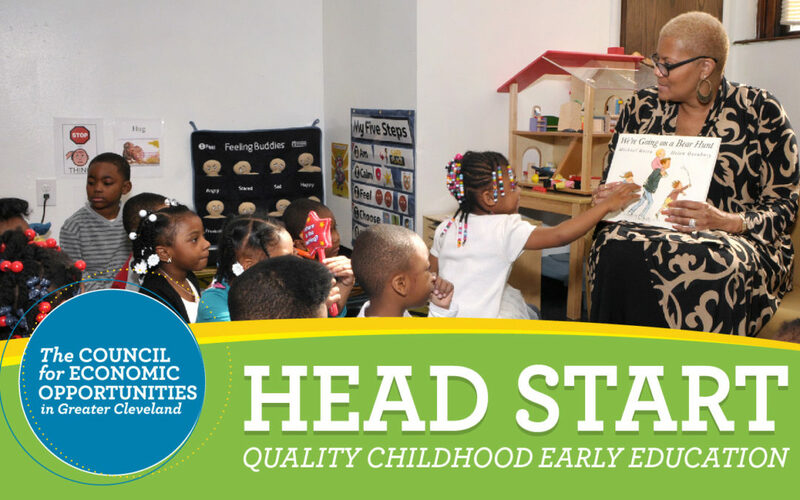 In addition to being the largest CAA in Ohio, we operate the largest Head Start program. In fact, our first program offering in 1965 was Head Start. Project Head Start was launched as an eight-week summer program by the Office of Economic Opportunity in 1965. It was designed to help break the cycle of poverty by providing preschool children of low-income families with a comprehensive program to meet their emotional, social, health, nutritional, and psychological needs and support the families in improving their lives. Head Start was envisioned as an eight-week summer program staffed by volunteers from across the nation. Every year, working parents of children from birth to 5 years are making the important decision of where to place their sons and daughters. In times past, family members met this need, but times have changed and that option is not as readily available. Also, early childhood education research confirms the long-term benefit that adults who were placed in quality pre-k programs derived from their participation including higher college graduation rates and more productive lives. CEOGC has been nurturing children through our Head Start program for over five decades and we are ready and eager to help prepare the next generation. For more information or to enroll your child, please contact us at 216-589-9922 or click here.